We're not the only ones celebrating a 10-year anniversary this month. Battle of Ideas, the free-thinking debate weekender is also notching up a decade with a programme which probes key questions for contemporary society. The overarching theme pulling a hugely diverse programme together is judgement — on what basis do we make judgements, and who has the authority to exercise them? The two-day event features 80 sessions and 350 speakers covering topics as diverse as robots, food banks, online relationships, transport, music criticism, poverty, multinationals and the developing world, libraries, selfies, ISIS, big data, architecture and shopping to name but a few. The final session on Sunday looks at philosophy and its importance for the next 10 years. With seemingly infinite information available at our fingertips has philosophy past its sell-by date or is it critical for navigating the challenges to humanity that lie ahead? If you think that sounds a bit heavy, past participants have praised not only the openness and passion of the constructive debates but also an atmosphere more rock concert than debating room. Claire Fox, director of organisers the Institute of Ideas says: "If you are prepared to have your views held to account, judge other opinions on intellectual merit, to 'enlarge (y)our thoughts and free them from the tyranny of custom', then the Battle of Ideas is the only place to be." Engage brain and get involved. 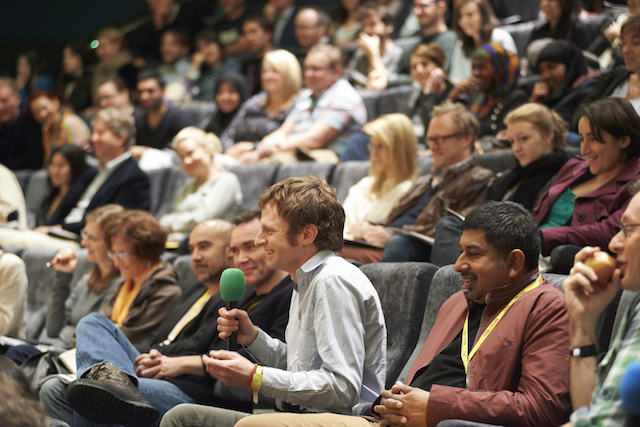 Battle of Ideas takes place at Barbican on Saturday 18 and Sunday 19 October. Check out the full list of sessions. Tickets £100 weekend pass, £55 day pass, concessions available, buy online.